The historic Mt. Baker Theatre in Bellingham, Washington is supposedly haunted, as most old theaters claim. 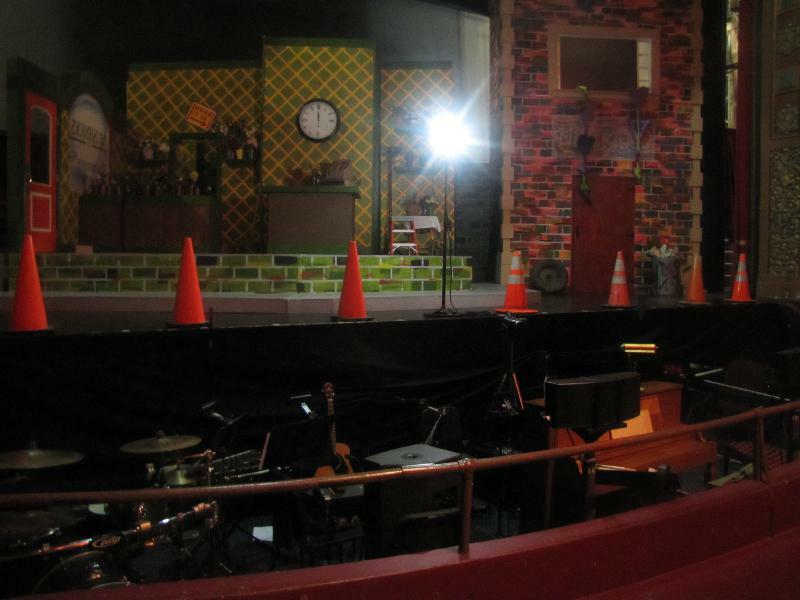 When we took a tour we saw the ghost light which burns on center stage at all times when there is no production going on. Ghost lights are a tradition among theaters and actors. The lights provide a means to placate ghosts who either want to perform or who want to watch. The best well known spirit at Mt Baker Theatre is Judy, an amorous young lady. It seems Judy lost her house (or boarding house room, as some say) when the theater was built in 1926-1927. She is reported to be interested in young male projectionists, actors, or ushers. One theater staff member told me Judy is a flirt! Others ghosts who haunt the theater include a well dressed fellow named Geoffrey who appears in either a fancy pin-striped suit or a tuxedo. Another theater staffer said there is a ghost feral cat that haunts and hunts the basement.